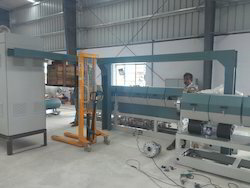 EPS Sheet Extruder Machine is offered by us to customers in bulk. 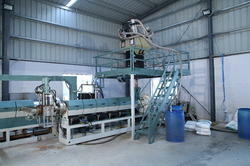 The offered EPS Sheet Extruder Machine is known for its hassle free performance and high durability. The EPS Sheet Extruder Machine is extensively used in making of disposable products like tea cups, etc. Further, the offered products are available in the market in bulk at reasonable rates. Being the market leader of this field, we put constant efforts to give only quality assured Extrusion Line. Superior quality components with highly developed machinery enable our experts to manufacture these machines in synchronization with existing trends of the market. Further, known for their outstanding performance, this array can be molded as per detailed requirements of the client at industry leading prices. With right spirit and massive work experience, we are riding in this field by offering quality assured Sheet Extrusion Line. Our presented machines are manufactured using the unsurpassed quality components and superior technology under the regulation of our accomplished personnel. Still, these precisely designed machines are quality proven on well-defined parameters. Further, clients can avail these performance oriented machines from us in various models. As per the requirements of the customers, we are involved in offering best quality of EPS Sheet Extruder Line. 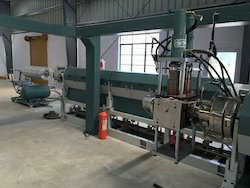 The offered EPS Sheet Extruder Line is widely used for producing eps foam sheet with different thickness. Further, these products are available in the market in wide range at most reasonable rates. 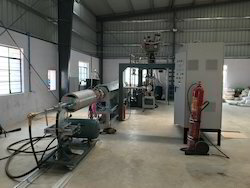 Due to our honest business standards and transparent deals, we are progressively making our way to the platform of success by offering a superior grade range of Sheet Extrusion Line. Offered machines are vastly demanded in a number of industries for their significant properties. 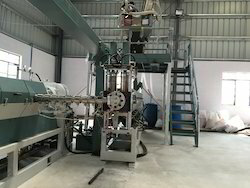 Provided flawless performing machines are made available in a number of technical specifications as per the information laid down by our clients. Looking for Foam Sheet Extrusion Plant ?